Do 'Walking Dead' Season 5 Set Photos Tease Iconic Comic Moment? The Walking Dead returns this fall for a season 5 storyline that sees Rick Grimes and his band of survivors leading some unscrupulous new travel buddies from Terminus on a quest to cure the zombie infection. From what we saw in the Walking Dead season 5 trailer, that journey (and the tense alliance between factions) is going to have its fair share of drama and horror - with the showrunners promising some pretty crazy development in store. Even as we inch closer to The Walking Dead season 5 premiere, the cast is still hard at work on set filming the latter half of the season. Today we have photos from the set - courtesy of Daryl Dixon himself, Norman Reedus - which may (or may not) tease a huge moment from the Walking Dead comic books that could soon be part of the show (ironic pun). Naturally fans have reacted to these pics in the most reasonable way possible: by totally freaking out that Daryl could be headed for one of the most pivotal moments in The Walking Dead's mythos. WARNING - Walking Dead Comic Book SPOILERS Follow!!!!! 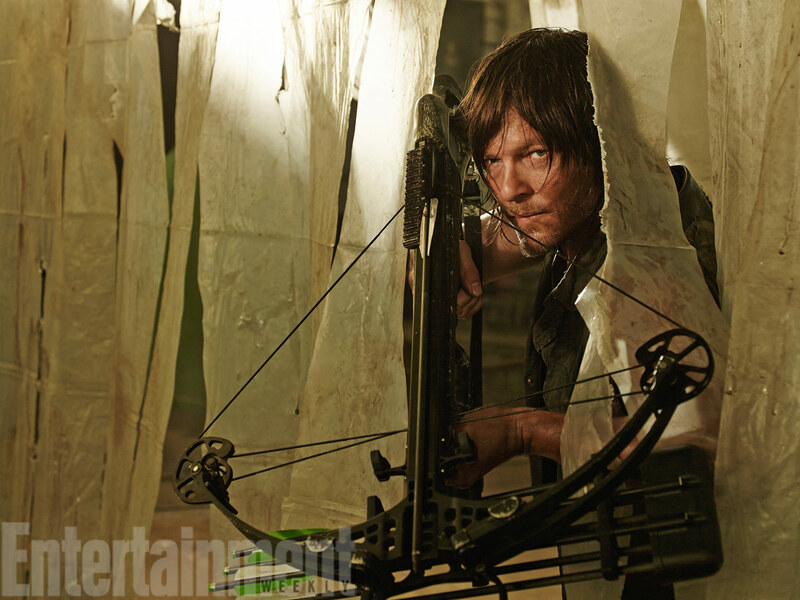 Could it be Daryl that has to pay that price in this version of the story? Beth is still missing (give a hand, get the girl), and aside from the loss of a not-so-great brother (Meryl), Mr. Dixon has been relatively unscathed in this fight against the undead. Moreover, the show might not be able to part with a character as important and loved as Daryl, but they can hurt him, real bad. Master hunter Daryl trying to relearn survival one-handed would be more interesting than seeing Rick suffer yet another trauma. Judging by the hand in question (a lefty), this could all be a fake-out, and that ringed finger could indeed still belong to Rick. But would Norman Reedus ever tease such an important development in such an obvious way? It seems unlikely. Five seasons in, the cast and crew of The Walking Dead must be acutely aware of the effect social media has on fans - and how one tiny ripple (a pic, a quote, even a rumor) can suddenly mushroom into a much bigger deal. That's all to say: Mr. Reedus was likely having a little fun with fans. We'll find out for sure during The Walking Dead season 5, which premieres on Sunday, October 12 @9/8c.